Looking for a great FREE movie? 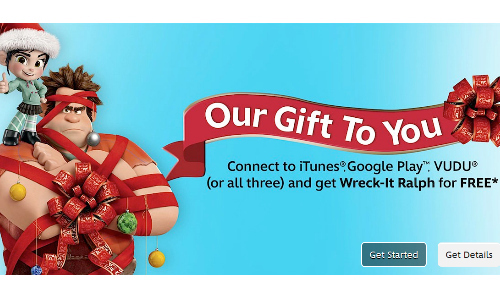 Disney Movies Anywhere is still offering a FREE Wreck it Ralph movie download! To receive your movie, sign up for a Disney Movie Rewards Account and connect to iTunes, Google Play or VUDU. On the main page, click Get Started on the picture that says “Our Gift To You”. Once you sync your account(s), you will see Wreck It Ralph in your movie collection. You can also find it under My Collection tab in your Disney Movies Anywhere account. Please note that this is for first time members only.